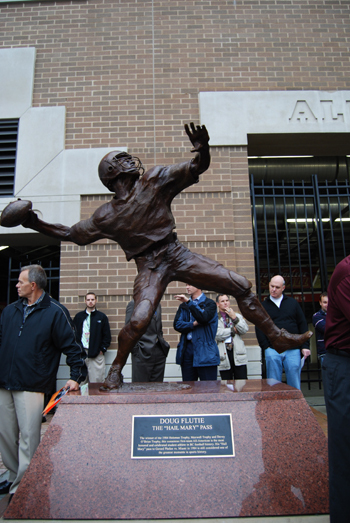 Larger than life-size bronze sculpture depicting a last-second Hail Mary pass by Doug Flutie to give Boston College a championship win against University of Miami in 1984. Sculpted by Harry Weber. Reproduced by VMD.